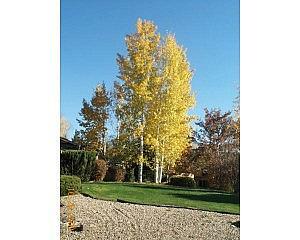 A multiple stemmed, upright deciduous tree native to Colorado. Small, heart-shaped leaves are a waxy-green in summer and brilliant shades of yellow to gold in the fall. A fast growing tree with smooth, white bark that becomes furrowed with age. 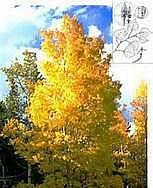 Aspens can be planted in full or partly sunny areas. A most adaptable tree for a wide range of soil conditions.